Rockville's Mayor and Council discussed highly-controversial school bus depot proposals for two residential neighborhoods in Rockville last night, as the Montgomery County Board of Education announced it was putting plans for one of the sites "on hold" (although only the Montgomery County Council has the power to actually prevent the County from abandoning its current Shady Grove depot). BOE President Michael Durso responded yesterday to a memo from the County Council that asked the board to cease all efforts toward building a Montgomery County Public Schools bus depot at the historic Carver Educational Services Center at MD 355 and Mannakee Street. Durso said he and the board understand the message that a permanent solution is preferable to a stopgap site. Durso promised in the letter that, "We will put all planning activities on hold until a feasible solution, including a permanent plan for the relocation of the [existing] Shady Grove Transportation Depot, is identified." 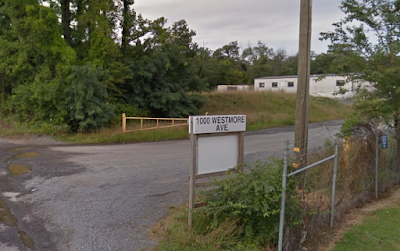 While that is encouraging news for the residents near Carver, plans for a second bus depot at 1000 Westmore Avenue appear to be on a fast track. A petition against using the Westmore property, which is directly adjacent to homes in Lincoln Park, is now online. And residents of Aspen Hill remain concerned that the County will again turn to the Blair Ewing Center on Avery Road, out of desperation for a large depot site. Residents opposed to the Westmore depot turned out at last night's meeting to speak during the Community Forum. The most discussed concerns included traffic, pollution, safety of children walking to a nearby park, more noise on an already-noisy street, and the explosive potential of mixing vehicles carrying large amounts of diesel fuel with an existing Washington Gas natural gas field. Lincoln Park has made many neighborhood improvements over the last decade, and one resident said the bus depot would "defeat the purpose of what we did." It would create "an unsafe environment for kids," said Angela C. Younger, President of the Legacy at Lincoln Park Citizens Association. The neighborhood has a rich history as one of the most notable African-American communities in Montgomery County, meaning that the County is attempting to drop a bus depot into two African-American historic sites in the City. "I never thought I would be up here" to speak at a Community Forum, began Lam Hoang, who lives near the proposed Westmore depot. "This would be a very dangerous place, if there were to be an increase in traffic along" Westmore, Hoang predicted. 400 buses idling at the depot and accelerating through the community "will be quite a bit of smog every day for us to breathe," Hoang said. Hoang's neighbor, Kentaro Yamamoto, shared his concern about emissions, noting that he already has asthma. Yamamoto also expressed trepidation about the depot's effect on home values in the neighborhood, and increasing noise levels. "It is quite noisy on that road" as it is, Yamamoto said. A new Lincoln Park resident said the depot would be "a nightmare," given the massive buses traveling narrow streets past small homes close to the road. "It's going to be really terrible," she said. It seems like just as residents are getting organized, the County is attempting to work that much faster to ram the Westmore site through. The Montgomery County Planning Board is now scheduled to take up the Westmore depot site at its June 16 meeting. Importantly, the public will be able to testify at that meeting. But there are even more challenges to stopping the Westmore plan - it is coming to the Board under the Mandatory Referral Process, meaning it will be much harder to stop than a private development project. And MoCo Planning Department planner Khalid Afzul told the Mayor and Council that the Board will only be considering the issue of the County acquiring the land, and not the plans for the bus depot itself. City Councilmember Mark Pierzchala said it is imperative that a member of the Mayor & Council testify at that June 16 meeting, where Afzul said the Westmore item is currently scheduled for 8:30 PM (which I have to say is the latest time I've ever heard for a Planning Board agenda item). On the Carver site issue, a representative of the Woodley Gardens West Civic Association reported that Greg Ossont of the County Department of General Services has demanded a king's ransom of $2332 to answer residents' request for documents related to the bus depot and Shady Grove redevelopment plan that requires new sites to be found. "This is pretty outrageous," he said. As Councilmember Beryl Feinberg is employed as Deputy Director of the County DGS, he asked her to recuse herself from any bus depot-related votes. Feinberg has "an obvious conflict of interest," he argued, as her employer could face financial penalty if new depot sites can't be found. Feinberg objected to the suggestion, saying she has carefully thread the needle in determining when and when not to recuse herself, consulting with the City Attorney. She said she has "nothing to do with Capital Improvements" in the department, and has had no conversations on the topic with County Executive Ike Leggett. Feinberg said she will not recuse herself from bus depot-related votes. Manor Lake Civic Association board member Kevin Gormley spoke in opposition to turning Blair Ewing Center into a depot, saying it would conflict with the MCPS planning process for Ewing, add more heavy vehicles in addition to a surge in truck traffic already expected from a new rock crushing operation nearby, and that residents' arguments are fact-based. Manor Lake is across Norbeck Road from Aspen Hill. Aspen Hill residents, who already were forced to fight Round 1 with the County in the "Smart Growth Initiative" bus depot debacle, also turned out at the Rockville meeting last night. One resident accused the County (in perhaps the understatement of the year) of "putting development before residents." There is concern in Aspen Hill that pressure from Rockville residents will encourage the County to reopen that old proposal to turn the Blair Ewing Center on Avery Road into the new depot. That move would potentially require the large alternative education program there to be relocated to the smaller English Manor school site in the residential area of Aspen Hill. But the Aspen Hill speakers were also there to support their Rockville neighbors, noting that all of this sounds very familiar to them. "We became the victims of bad planning," recalled Jamison Adcock, President of the Aspen Hill Civic Association. He said the County Council's Declaration of No Further Need for the current Shady Grove depot should not be made until an appropriate permanent site can be found for a new depot. What's happening at the moment, Adcock said, is "a spectacular failure of County planning, and it needs to stop." Rockville's elected officials are trying to stop it, but are getting little information from the County and MCPS, and aren't even sure if they will be given any role in negotiating the solution. Councilmember Julie Palakovich Carr asked staff if the City could make the public information requests that the County is currently rebuffing citizens on. Acting City Manager Craig Simoneau said it could, but that it is not common practice for Rockville. Pierzchala noted that the Carver Coalition has "done a huge, huge search of County websites and documents" to try to obtain any information it can, in light of stonewalling by the County and MCPS. Neither the County nor MCPS accepted invitations from the City to speak at last night's meeting (two officials from the County Planning Department, which is part of the National Capital Park and Planning Commission, did). Mayor Bridget Newton warned against having the City pay the costs of the information requests. "The City shouldn't be in the position of funding these requests," she said, despite supporting the effort to obtain the information. Newton said she would like to support the requests in non-monetary ways. Simoneau noted that the City might still need to pay for its own, more narrow information request. Newton said she would support that expenditure, as long as the information obtained is also shared with residents. Simoneau said that "absolutely" would be the case. The Mayor and Council then discussed a letter they are planning to send to the Planning Board regarding the Westmore proposal, which would also be carbon copied to County Executive Ike Leggett and the County Council. Newton had drafted the letter, the text of which was supported by the City Council in nearly its entirety. Feinberg suggested removing the language that asked the County to not consider Westmore, Carver, "and any other property in or adjacent to the City." She said there could well be sites not in residential areas within the City that eventually might be deemed appropriate. Pierzchala said he didn't necessarily object to the change, but worried that it "invites people to come close to Rockville." Palakovich Carr asked if any further examination of the former Gude landfill site has been undertaken. Simoneau said staff is currently gathering information on it. Newton brought up another alternative site that has been floated, the fire training site at Route 28 and Shady Grove Road. She said she knows the County has long-term plans to redevelop the land, but that it could function as a short-term solution. Pierzchala said he agreed that site should be considered. Councilmember Virginia Onley said she has been looking for potential sites as she travels across the city. One that caught her attention was a parking lot at MD 355 and Shady Grove Road, she said, suggesting staff look at that site as well. With the exception of the Westmore issue - and it's very notable that the County Council and BOE are not taking the steps to protect Lincoln Park that they have claimed they're taking on the Carver site - much of the debate will likely be shaped by whatever the County Council decides to do when it discusses the whole Shady Grove depot debacle on June 21. Is the June 21 City Council Meeting open?